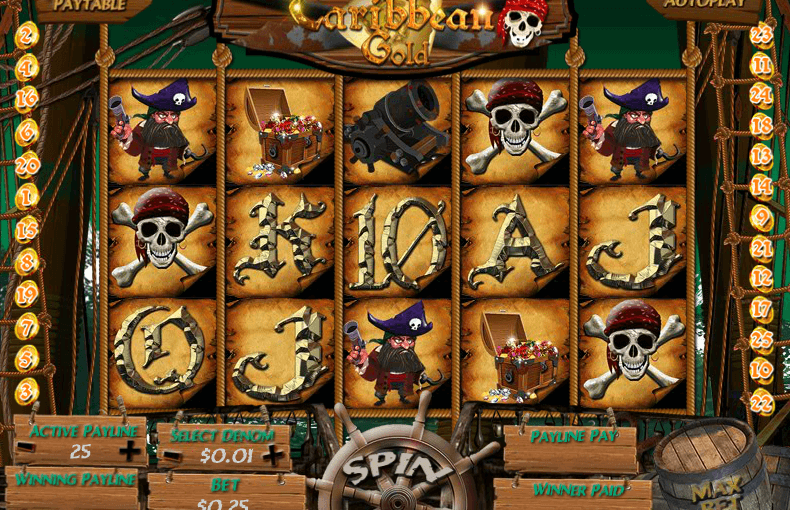 Caribbean Gold is a pirate themed 5 reel video slot game with twenty-five pay lines. Three or more Scatter symbols (Caribbean Gold Treasure Chest) triggers the free game feature which players then select from eight treasure chest symbols until a matched pair is displayed. Ten free games are then played with all wins multiplied by the original bet.